We pride ourselves in our warm and friendly welcome and all lessons are individually targeted to enable students to progress at their own pace. Club meets on Saturdays. Junior Class is from 10.00 am - 11.00 am and the Adult Class (16+) meets from 11.30 am - 1.00 pm. First trial lesson is free of charge. This Chart shows the Martial Arts Styles offered most in Ewell, UK area. 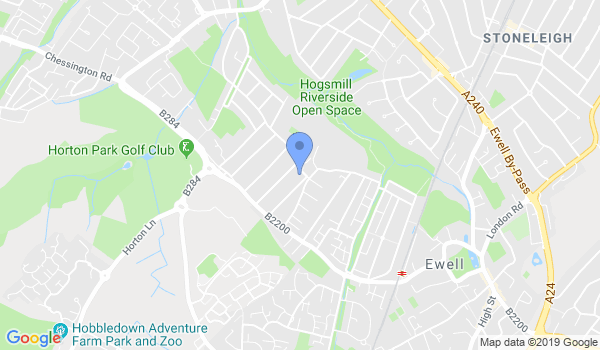 View a list of Dojo in Ewell, or enter your address below to find schools closest to you.